The Bronte family are perhaps one of the most outstanding literary families of all times. The sentimental myths that have grown around them and their lives since Mrs Elisabeth Gaskell published her famous, though somewhat biased biography , can now be perceived with more honesty through the work of modern biographers with more material to hand and less prejudice in favour of Charlotte. Yet none of the fascination is lost for having a spotlight turned upon the darker corners. 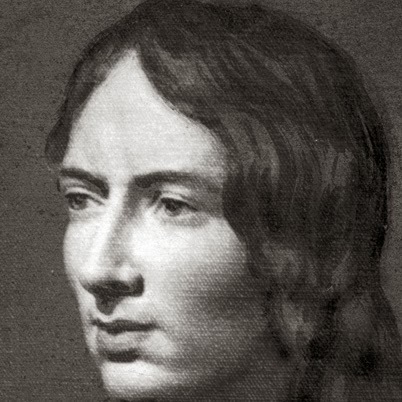 We can still read such works as Emily Bronte's Wuthering Heights, Charlotte's Jane Eyre and Anne's The Tenant of Wildfell Hall and ask ourselves, as did their contemporaries, how on earth did these three young women, living fairly sheltered and parochial lives in a little Yorkshire town, write such passionate and feeling masterpieces. I invite you to look at this from a Jungian psychological perspective in which we explore the animus figure of these women. This was a family with a literary soul. Patrick Brunty, their father, came from a labouring family in Ireland and changed his name to Bronte as a young man. 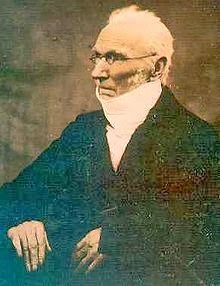 He achieved a great deal, studied theology at St. John's College, Cambridge, receiving his BA in 1806 and eventually was given the living at a small Church in Howarth, Yorkshire. Patrick wrote varied articles and books on serious topics and encouraged his children to read literature and talk politics with him. He wasn't the Victorian ogre painted by Gaskell but neither was he a tender or demonstrative father. He left the child rearing to his wife's spinster sister, Lizzie, who came from Cornwall during the fatal illness of his wife, Maria Bronte, in order to care for his six children. This wasn't at all strange for the times; men seldom had much to do with their children. And certainly the children saw little of him for Patrick Bronte preferred to be left alone in his study, writing poetry, articles, organising sermons and other parish matters. There is no doubt that he was so wrapped in his own activities that he lacked sensitive care and attention to their welfare. He meant well enough when he sent his eldest two girls, Elizabeth and Maria, to Cowan Bridge School (an institution that was to be made famous by Charlotte as the dreaded Lowood). They were not wealthy and thus the girls needed an education in order to survive later in life as there was no guarantee they would marry. However, the Clergy Daughters School was poorly run at the time, the food so bad that the children ate little. First Maria died of consumption followed by Elizabeth shortly after. It seemed to take Patrick some time to realise he would lose all his girls. His first daughter, Maria, was said to be precocious beyond her ten years and with a brilliant imagination; we can only speculate about the books she too might have written.he bitterly mourned her loss. Patrick hastily brought back Emily and Charlotte from Cowan Bridge and thus the remaining four children were educated at home. Branwell, Charlotte, Emily and Anne were now left to create their own amusements and entertainments and read extensively thanks to their father's liberality and encouragement, writing vast reams of material in their childhood, making up journals and tiny little books in which they recorded the adventures of their imaginary as well as heroes and heroines who were surprisingly sophisticated and worldly. There is no doubt that the early death of a mother creates a trauma in the lives of children, leaving a sense of loss and abandonment. Even though Anne was too small to remember her mother, this loss is still observable in her writings. In all the Bronte ouevre, there is seldom a warm, caring mother figure. There is also no doubt that a mother's unlived creative and spiritual character lives on in the children she has brought to birth. If she has not fulfilled her own creative yearnings, it is likely to be left to those who come after to try to contain her frustrated, enraged spirit it or live it out in some way. Maria Branwell Bronte, their mother, was herself an intelligent and educated woman but an early death with uterine cancer left her no time for development of her gifts. Jung coined the term 'animus' for the 'masculine' part of a woman's psyche and Branwell in many ways took on the role of this figure and became a scapegoat for the family. He was too weak to sustain the greatness they wished upon him and his early talents led to nothing but drink, drugs, despair and an early death. The unlived animus of the mother instead percolated through her daughters in the form of those amazing creations, Rochester, Heathcliffe and Arthur Huntingdon (who is said to be based to some extent on Branwell Bronte) The dark animus is a part of the unlived, unconscious Shadow side which we all have. Men and women alike have written, painted and been fascinated by the Dark Lover aspect of their souls. We have 'The Dark Lady' of Shakespeare's sonnets, the innumerable 'fallen women' of painters and writers like Zola, D H Lawrence, Rider Haggard's 'She' - as well as the paintings of Dante Gabriel Rossetti's beloved Jane Morris and his obsession with the image of Persephone, the Goddess of the Underworld. And even now this archetype has taken form as a vampire image, devouring and yet fascinating in his deadliness. Thus for the Bronte children, their dead mother became the mother who had been taken by Hades, living on in her children's psyches as something unknown, unlived, consuming yet also transformative. The archetype of the Dark Lover became Rochester and Heathcliffe and Arthur Huntingdon for the girls and a devouring, destructive reality for Branwell who actually lived it all out for them - a fate which often befalls the one who is a weak sensitive link in the family wiring and blows the family fuse. 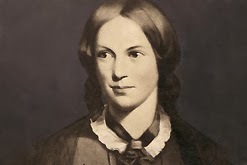 As children, the Brontes invented imaginary characters that inhabited their inner worlds and imagination; war, powerful men and women figures, strange islands and countries with peculiar people. Later these figures and pent up sexual and dark images were to explode upon us as the strong male characters of their books. In Emily's Heathcliff, we come closest to the archetype. The characters of Catherine and Heathcliff, despite their wild, dramatic passion are oddly sexless; their union is on some other plane entirely ---a cosmic union of great archetypal forces beyond our understanding. Emily was never close to people but lived in a world of her own, a sexless free spirit, roaming the moors and at one with Nature and God. In Rochester, we have a warmer more human element but still Jane flees from his forcefulness, pathos, despair and can only possess him when he is humbled, maimed, half blinded. Charlotte was far more dependant on warmth and contact than that of Emily. Yet even when she at last describes in Villette the real man whom she loved and lost, she cannot be dishonest, she cannot possess him and Paul Emmanuel has to die at sea in the end. Of them all however, Charlotte it was who married in the end and had a brief moment of happiness and normality before death claimed her also. In Anne's Arthur Huntingdown we find a far more human character again. Huntingdon is almost redeemable at the end and has some contrition over his evil past. 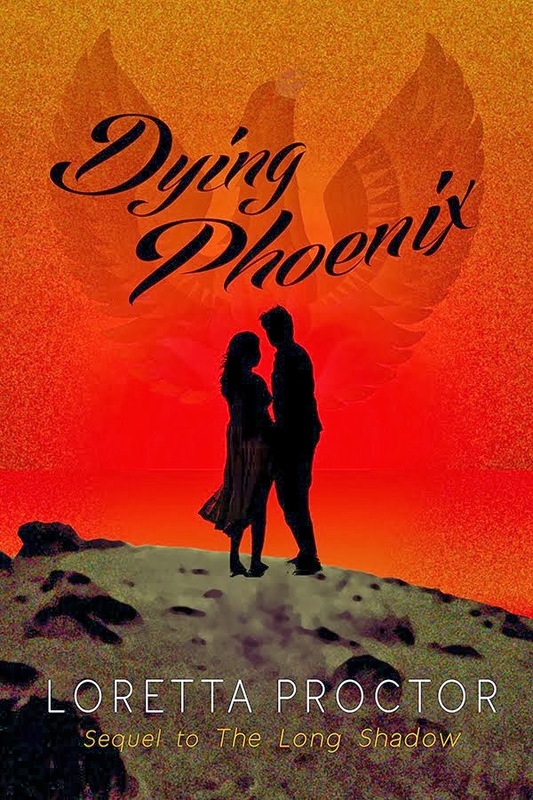 These stories all seem to show that all this family had a lack of faith that anyone could find love, be sexual and human, and not have to die because of that love- as their mother had died - as many women at that time died from the exhaustion brought about by the sexual and procreative act. Branwell searched for love, falling for a woman much older than himself who cruelly betrayed his trust and naivete. Emily, caught by her archetypal animus did not even search for love, her soul filled with something more mystical and divine. The Dark Lover for her was a shadow side of God Himself. Charlotte married at last but even then seemed at some unconscious level to feel unworthy of happiness and love. She was expecting her first child but died before she could bring into this world a real human being. Perhaps the only one who died in peace was Anne, for unlike her character, Huntingdon, she firmly believed in her soul's redemption through the love of God and went gently into that good night. I have always been a Bronte fan.This was such a sad reminder of their difficult lives. Bittersweet lives in the case of Charlotte and Anne. Tragic in the case of Branwell. And Emily was such a force unto herself, it's hard to know if she was ever happy at all. Elizabeth, apologies for slow response to your lovely comments. Been away for awhile! The Brontes never cease to fascinate us, as you say, such bittersweet lives. Jane Eyre has been my companion this week for all the reasons you have suggested in your Thomas Hardy post. Hi, R...what better companion than Jane Eyre. When my kids were small I used to spook them with the scene of poor Jane alone and friendless, wandering the moors and eating pigswill! Thanks for your comment!